Your Snore is a cry for Help! It’s time to put your sleep issues to bed and enjoy your life! 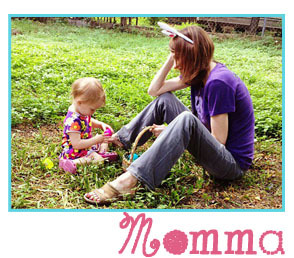 It is my pleasure to have author, Dr. Gene Sambataro, as a guest writer on this Momma’s Bacon post to have him talk about the seriousness of sleep issues. According to Dr. Gene Sambataro, the connection between sleep disorders and chronic, sometimes deadly, illnesses—such as cardiovascular disease—is real. 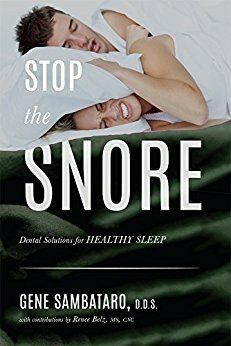 I’ve included information on the author and provided information about his new book, Stop The Snore: Dental Solutions for Healthy Sleep (Paperback), which is available now on Amazon. Be well, my readers! Thank you, Dr. Gene Sambataro, for taking time out of your busy schedule to talk about the link between snoring and sleep apnea. Your snoring may have been a family joke, or a major annoyance to your significant other. But sleep apnea, a sleep disorder in which breathing is interrupted during sleep, is no laughing matter, and it’s become a significant national health concern. More than 18 million Americans suffer from sleep apnea, according to the National Sleep Foundation. Disturbances in sleep bring decreased levels of oxygen to the brain, which can lead to a host of health issues such as heart disease, hypertension and diabetes. A 15-year study of more than 10,000 adults, published in the Journal of American College of Cardiology, found evidence of strong links between sleep apnea and cardiovascular diseases. · Snoring. This is probably the most obvious sign – except to the snorer. This statistic from Sambataro should be a wakeup call: 35 percent of married couples sleep in separate bedrooms due to snoring. The irritated, sleep-deprived sleeping partner may demand action in the form of a doctor visit, though snoring isn’t always a guarantee of sleep apnea. When the snoring is accompanied with choking or gagging sounds through the night, it’s a sign he or she likely has sleep apnea. · You stop breathing during sleep. Told by your concerned bed partner of numerous times that your breathing ceased during sleep, this may set off the alarm to see a doctor. Paying attention to the following statistics may also do the trick: Sambataro cites studies showing sleep apnea sufferers stop breathing 30 or more times an hour a minimum of 10 seconds or more at a time. · Day fatigue. When your sleep is frequently broken up, you feel tired most of the time. The interruptions in sleep lessen the oxygen flow to the brain, and our functioning ability suffers when the brain is deprived of normal oxygen levels. The chronic fatigue that sleep apnea sufferers often experience can bring mood swings and develop into depression. · Teeth grinding. This is a condition known as bruxism. Sleep apnea sufferers may awake with sensitive teeth or tight jaw muscles. It happens because the breathing airway is obstructed. The National Sleep Foundation found that about one in four people with obstructive sleep apnea grind their teeth at night. About Dr. Gene Sambataro: Gene A. Sambataro, DDS, FAGD, (http://www.juliandentist.com/Ellicott-City-Sleep-Apnea.asp) has been a leader in the field of dentistry for more than 35 years. He is the director and clinician at the Julian Center for Comprehensive Dentistry, where he and his team practice integrative holistic dentistry intended to heal the mind, body, and spirit, with a special emphasis on treating sleep-disordered breathing issues, like sleep apnea. If you think sleeping poorly at night just means feeling tired the next day, you’re in for quite an awakening. Sleep apnea―the most severe type of sleep-disordered breathing―is a major cause of a multitude of health issues and diseases, stemming from a lack of oxygen in the bloodstream. Fortunately, this problem may be easily solved with help from…your dentist? American Academy of Dental Sleep Medicine―delves into the world of dentistry and oral health care that can lessen or prevent sleep apnea. By explaining with easy-to-understand science, Dr. Sambataro gets to the root of your tiresome troubles. Within these pages you will find the reasons you have sleep apnea, as well as the dental solutions you need to lay them to rest. From recognizing you have sleep apnea and having it diagnosed to finding a comprehensive dental care provider for you, this book is filled with Dr. Sambataro’s knowledge and expertise to answer all your questions. Now it’s yours for the taking.